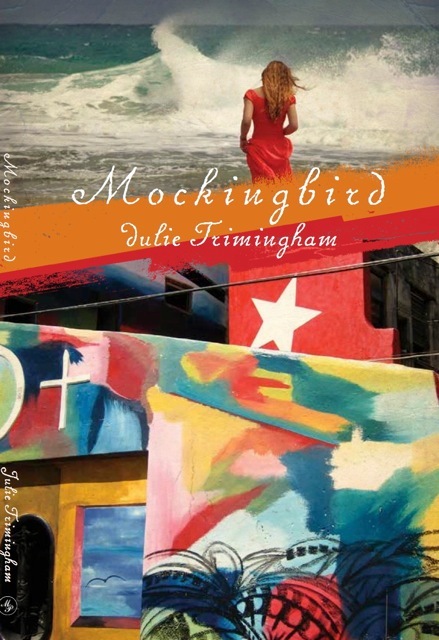 Julie Trimingham was born in Montreal and raised semi-nomadically. She trained as a painter at Yale University and as a director at the Canadian Film Centre in Toronto. Her film work has screened at festivals and been broadcast internationally, and has won or been nominated for a number of awards. Julie taught screenwriting at the Vancouver Film School for several years; she has since focused exclusively on writing fiction. 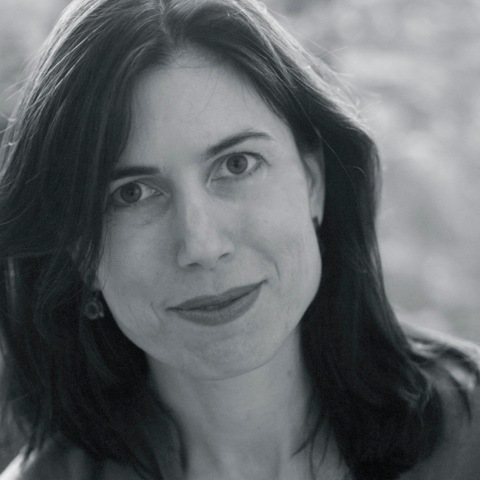 Her first novel, Mockingbird, came out in 2013. A red plastic typewriter was given to me when I was four. Way Elsewhere, a collection of fictional essays will be coming out soon from Lettered Streets Press. I’ve had fun performing at The Moth, events where people tell short, true, first-person stories. And I write for Numero Cinq, an online magazine, which is great fun. I’m currently drafting my second novel. 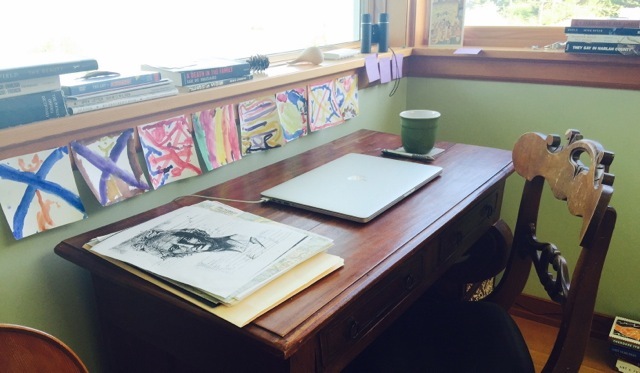 A wooden desk, my son’s art taped to the window sill, a view of the salt water, the islands, the mountains. I live on a small island; when I’m on the mainland, taking my boy to school and running errands, my work environment is my laptop and whatever coffee shop is handy. Catch as catch can, when my son is in school, when I can put off errands, when I’m caught up on the work I do for my job. “Typical” changes all the time. The beginning of a project looks like post-it notes, charts, highlighters for me as I try to figure out the bones of the story. The middle of the project looks like me in front of my computer, typing and trying not to worry about the sentences too much. I need great chunks of time to do this. Rewrites are more flexible, fifteen minutes can get a sentence or paragraph tweaked. I work in layers, it reminds me of painting: getting the basic blocks of color and shape and light down, then cartooning, drawing in rough forms, then refining. Constant questioning. I can’t not. I get cranky and anxious if I don’t write. I feel good and like myself when I do. I am trying to understand some things about people. How to find the love in any situation, or the hurt, the humor, the humanity. WHO WOULD YOU LIKE TO HEAR MORE FROM? I’d like to hear a gorgeous cacophony of voices that have not always been heard widely. There’s room for everyone. We need everyone. There are so many ways of being a person, there are so many ways of telling a story. Stories enlarge us. Women of color, indigenous women, women in poverty, women in abusive relationships, women in cultures where being a woman is not encouraged: these women have voices and important stories. Reblogged this on Julie Trimingham. Congrats on 100, Nicole !!! !